Navy & pink are such timeless wedding colors. 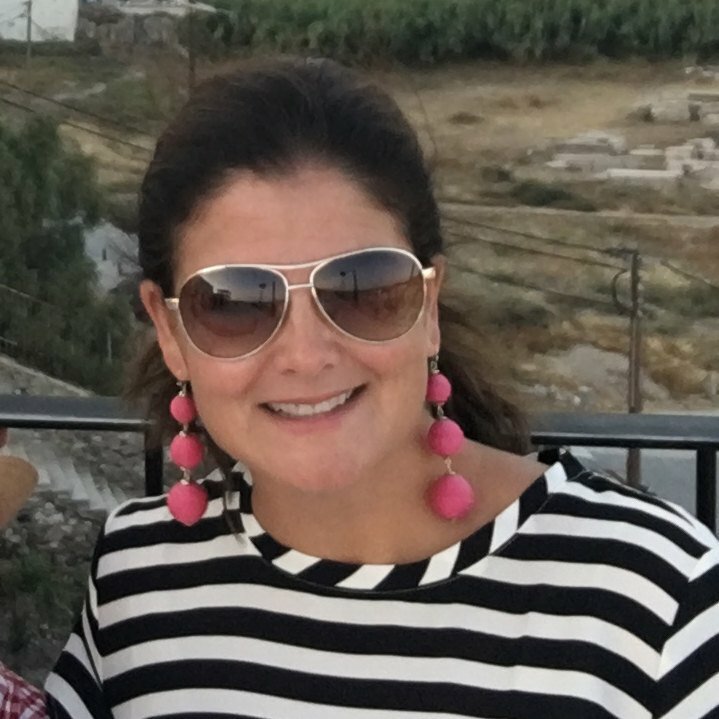 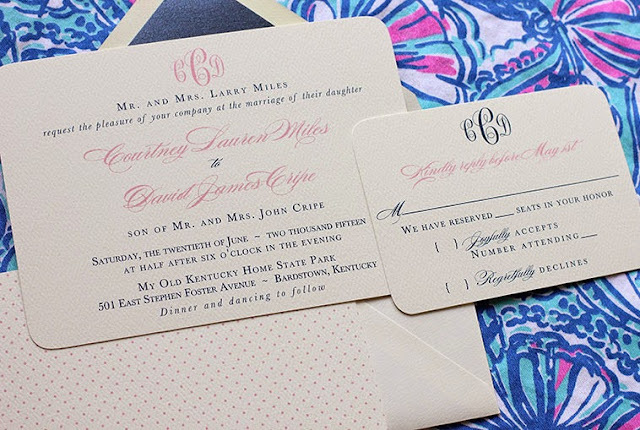 I love the classic, yet preppy feel. 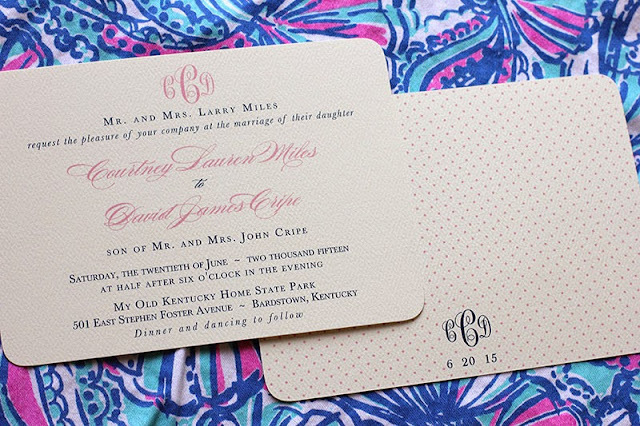 And then you add a monogram and polka dots and you've got a true wow invitation. Courtney & David chose our Traditional Wedding Invitation. We gave them a fancy monogram and added fun polka dots to the back side of the invitation. 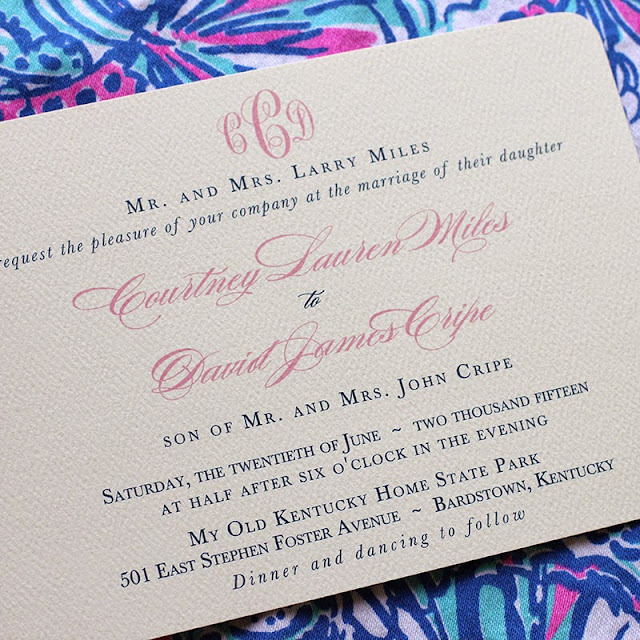 I absolutely adore these pink & navy wedding invitations... so chic!